The Voice 2017 Season 12 Battle Rounds continue tonight Tuesday, March 21, 2017 on NBC 8/7c. 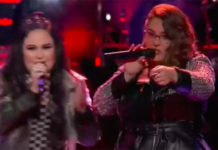 In the Battle Rounds, the coaches pit two of their own team members against each other to sing the same song together in front of a studio audience. 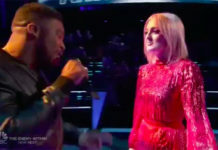 After the vocal battle, the coach must choose which of his/her singers will advance to the next round of competition, while the losing artist is available to be stolen by another coach. Each coach has two steals available during the Battle Rounds. This season’s special advisors are Celine Dion for team Gwen, John Legend for Team Adam, Luke Bryan for Team Blake, and DJ Khaled for Team Alicia. Bookmark this page, The Voice Season 12 March 21, 2017 episode recap and performance videos will be added below. 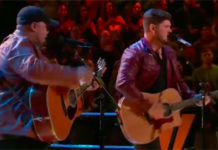 Johnny Gates vs Sammie Zonana ‘I Drove All Night’ from Team Gwen. Johnny Gates win this battle, no steal for Sammie. Chris Blue vs RJ Collins ‘Adorn’ from Team Alicia. The winner of this battle is Chris Blue, no steal for RJ. Dawson Coyle vs Aliyah Moulden ‘Walking on Sunshine’ from Team Alicia. Aliyah Moulden is the winner of this battle, Alicia steals Dawson.